Entrepreneurs have always looked for new ways to expand their businesses and improve day-to-day operations. In the past, businesses were relatively small and focused on advertising in print and through word-of-mouth. Employees worked closely with business owners mostly because it made communication that much easier. As time went on, businesses could expand their clientele by advertising to thousands and eventually millions of people through radio and television. This of course led to more jobs and employees who needed to communicate over a longer distance. These are significant changes to be sure, but things have advanced faster than ever in the business world over the last few decades thanks to several technological advances. In fact, the business world looks like a very different place than it was just a few years ago. Here are just a few examples of technology that have changed the face of business in recent years. Perhaps no technology has changed the business world more than the Internet. This worldwide computer network has become so standard in the daily lives of people everywhere that it is now a viable alternative to television and radio as a means of communication, entertainment and advertising. The Internet allows people to communicate over long distances in ways that were never possible before, making it easy for companies to do business with clients all over the world and communicate with employees who may never “meet” their bosses face-to-face. People can now work, “attend” meetings and conduct business of all kinds from the comfort of their own homes. Social networks such as Facebook and Twitter aren’t obvious agents of change in the business world like the Internet, but they have proved to be far more important than just outlets for social interaction and pictures of cats. Social networks allow companies to spread the word about their products and services while facilitating better communication with potential clients. Facebook posts and tweets just seem far more personal than an ad over a homepage’s banner, and they can be tailored to the individual interests of clients. Social media allows companies to interact directly with their customers and user base in a way they couldn’t before. Communication technology has thrived in the 21st Century. After all, communication is really what the Internet is all about. The ease of communication has enabled companies to conduct business and make acquisitions through what has become known as e-sourcing. E-sourcing is a simple, fair and transparent method of conducting negotiations online. It’s one of the fastest and easiest methods of communication between companies, and many businesses have adopted platforms that are tailored exclusively for e-sourcing. These platforms allow businesses large and small to monitor their communications, purchases and sales just as easily as someone would check their email or update a Facebook page. People once needed to be sitting at home in front of a computer to be able to access the Internet or check their Facebook pages, but those times are gone. Smartphones now allow users to log onto the Internet with devices that they carry in their pockets, making these phones ideal for advertisers who want to reach as many customers as possible. They are also great for employees who travel a lot as part of their jobs, since a smartphone can do far more than accept and make phone calls. 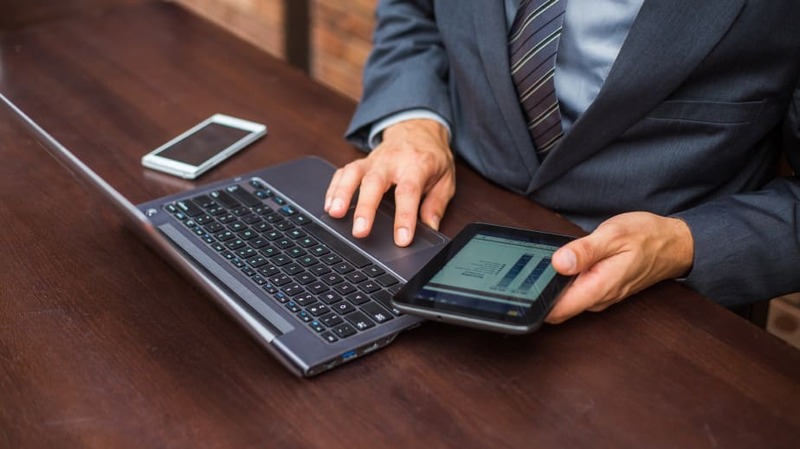 Now that they are packed full of technology that can allow people to check and send email, update spreadsheets and capture video, smartphones are more like all-purpose portable communication hubs than mere cell phones. Technology is progressing faster than ever these days, and business owners all over the world are all but required to keep up with it. Things are changing all the time, and the most successful companies are the ones taking advantage of those changes. Nobody knows what the future will bring, but it will almost certainly make business communication of all kinds easier and more convenient than ever before.